« What Others Think of The Maloney Method »Accountability in Public Education – What is it really? As consumers of academic goods and services, most parents are hopelessly ignorant. They simply do not know an effective program from an ineffective one. They rely on the recommendations of teachers, principals, special needs specialists, doctors, psychologists and other professionals. Parents are generally adept at perceiving that something is amiss with their child’s learning. They just do not know specifically what it is or what to do to fix it. In a similar situation with their family doctor, dentist or optometrist, the professional would pull out a record of their history and discuss the problem in light of that information. The report would contain hard data about the condition and any changes since the last visit. On the basis of these data, the doctor other health professional would come to a diagnosis and a specific decision regarding treatment. That type of review, diagnosis and proposed treatment usually does not happen when parents have discussions with educators. There is rarely any hard data from previous visits. With children with special needs, there may be an Individualized Educational Plan generally written with descriptive comments and no real measurement. The discussion does not usually end with anything more than a vague plan to improve the situation, again with no specific measurement process. If parents are informed about a specific program to be implemented, they usually have no idea as to its content or its effectiveness. They rely almost exclusively on the advice of the educators, neither knowing about nor able to interpret the research information about the program to be used. Jean Stockard has filled a critical gap for the parent who is seriously interested in knowing what works in teaching normal children as well as special needs students. She has documented the history and the effectiveness the Direct Instruction model, the single most powerful educational programs ever introduced into public schools. She relates the history including the exclusion by the federal Dept. of Education’s What Works Clearinghouse of the Follow Through study, the largest comparative educational research study ever done in which Direct Instruction led all others in every aspect of the research. This is a book for the serious reader, even though it is written in plain English and is relatively easy to understand. 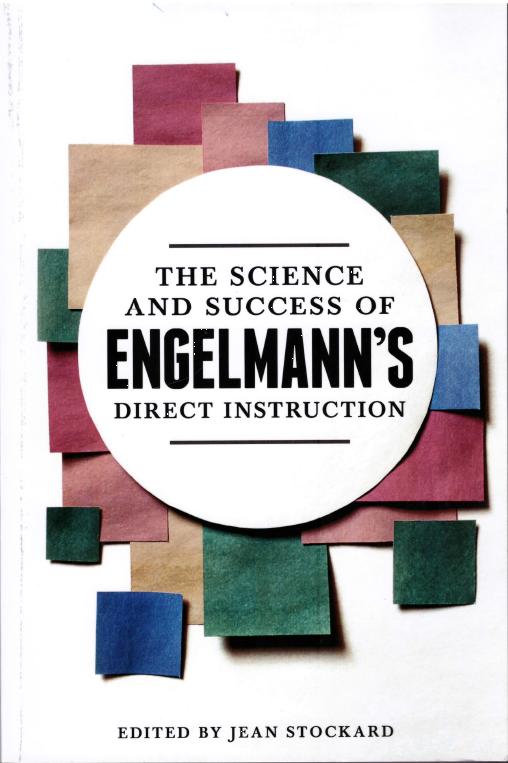 It provides a bullet- proof case for Direct Instruction, an instructional system created at the University of Oregon by Siegfried Engelmann and his colleagues. Direct Instruction is a system that public schools have consistently rejected for 50 years because it holds educators accountable and can be easily grasped by parents. It is the remedy that schools refuse to use to prevent failure.